We aim to establish cycling as an acceptable, attractive and practical lifestyle option. A sustainable, inclusive and healthy Scotland where anyone, anywhere can enjoy all the benefits of cycling. 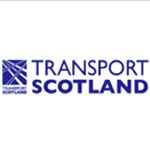 Cycling Scotland is a registered charity (SC029760) and a company limited by guarantee. We gratefully acknowledge the support of Transport Scotland & Scottish Government, NHS Health Scotland, Scotrail and others funding our work.